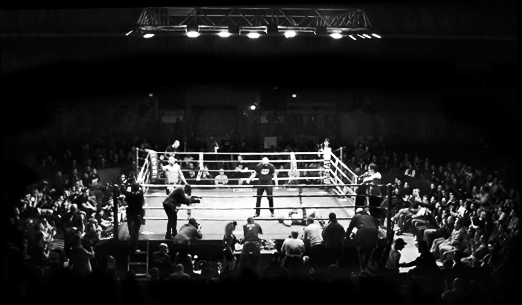 Gentleman Fighter was born on the ring, on a day of battle. Hafid Asrar is passionate about Mixed Martial Arts- MMA. Everything fascinates him in this universe ; fighting techniques, precision, self-control, the attention to detail and the fair play that prevails. Hafid notices that all fighters from different backgrounds share the same passion, a passion for the sport but also a passion for life. However, a single detail shocks him; the fighters’ equipment. The fighters wear oversized, misshapen and unrewarding clothes, apparently not very technical and often having aggressive names. It is precisely the attention to detail that pushed Hafid to design his first clothing line. Hafid did not overlook a single element, from the choice of fabrics to the stitching and finishing touches which are often handmade. An idea will never leave his thoughts, the idea of dressing life fighters with respect and elegance. Thus, the trademark is an evidence, it is GENTLEMAN FIGHTER. From that point on, everything happened quickly. 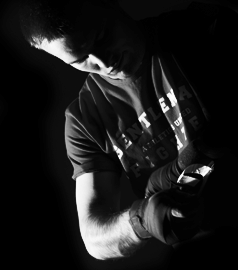 Wanting to dress the fighters with quality clothes, he began, with the help of his friends anchored in the clothing business, to manufacture t-shirts, shorts, boxers and all the equipment fighters need in the gym and on the ring. From an encounter to the other, from words of mouth, from a competition to an other, the brand is much talked about. People love the clothes, so that we have to increase and improve the production, give a larger choice of colors, products and sizes. In January 2014, the increasingly resounding success leads a Business Angel to invest. A team is built, new clothing lines are created, focusing on comfort, sophistication and elegance. Today, there are four, to fulfil every need, to appeal to every taste….because every Gentleman is unique. Gentleman Fighter is the brand which combines sophistication and trendy design for a casual elegance. It is born out of battles we lead in the training room but also in life. Since the beginning of this fascinating adventure, the founder Hafid Asrar did not limit himself to design combat sports’ clothes: « it is a world, it is a spirit I was willing to apprehend ». A spirit, a respect, a commitment that appear in each new clothing lines, creations, business partnerships and services we provide. Every details matter, reflecting unique dedication, a genuine passion. That’s how long-run relationships are built, how strong and trustful relationship are established. The brand emphasizes every one talents in their daily or occasional, professional or amateur sporting activities. Through ethic it is a gathering of sport spirit and values : respect, loyalty, self-control, pushing our limits to always give the best, and not hesitating to permanently reinvent ourself... The brand is fed at its very core by the taste of challenge. Choice of materials, ability to manage the production processes, care given to the finishing details, quest of permanent innovation: Gentleman Fighter’s clothes have received all the attention needed. For a demonstrated added value, for an increasing performance and reliability, the technical lines are tested in real training and fighting conditions by the fighters themselves. Gentleman Fighter selects with great care its manufacturers and is committed to implement with all actors of the production line a sound and transparent relationship, based on mutual respect and constant efforts to improve. 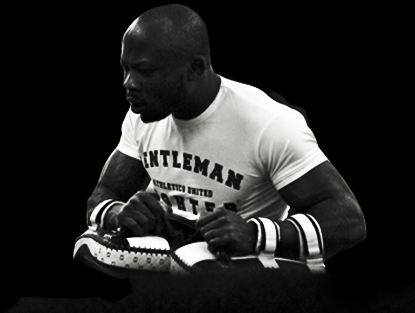 Gentleman Fighter’s commitment is to provide clients with useful services as fair product return policy, worldwide and timely delivery. It is also a clear and accurate description of the products on the website, with an easy and interactive browsing.